Take two hard-working, devoted, Latin American show jumpers, add two talented young horses and a touch of luck, multiply by a group of clients plus sale horses and prospects, travel and show miles, international events, and a large amount of practice, patience and passion and what do you have? E2: excellence squared. Brought to you by Olympians and business partners Enrique Gonzalez of Mexico and Eduardo Menezes of Brazil. Although always seeking to achieve excellence, these two men have evolved into this upper echelon after years of ups and downs, literally and figuratively, and continuous commitment to their horses and clients, to the sport globally and to their families. 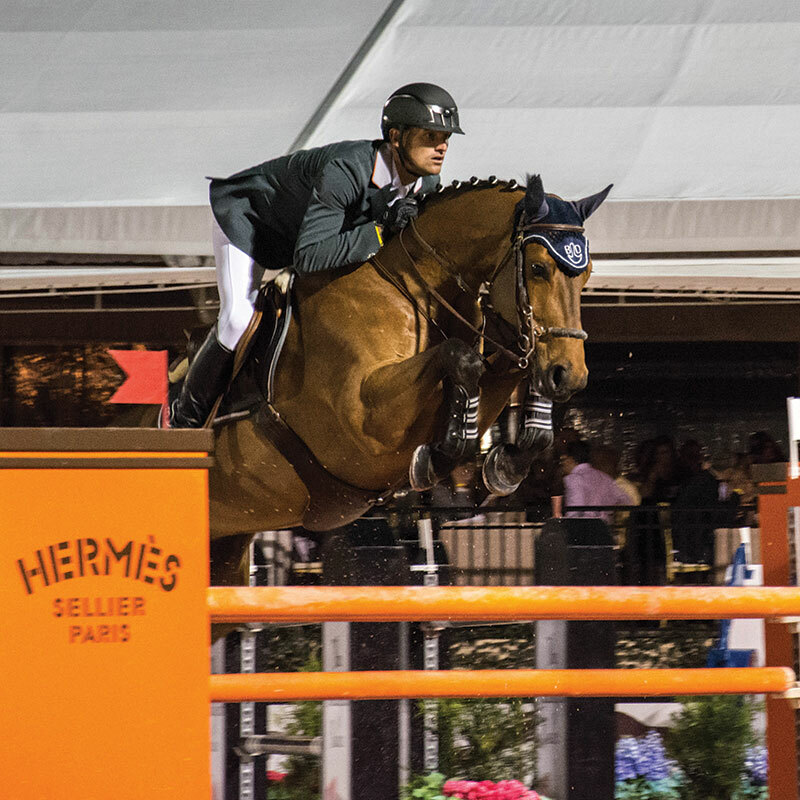 Knowing that the only way to stay at the top of their field is to discover and bring along talented horses, Gonzalez and Menezes always have their eye on prospects both for their successful sale business and their own string. The elder ‘E,’ Enrique Gonzalez, established his reputation as a rider and trainer with an eye for equine talent several decades ago. He was a teenager before he discovered his passion for show jumping. In 1988, at age 24, he joined up with two colleagues to start a riding club in Guadalajara. One of several important mentors during this time was international Grand Prix rider and Californian Hap Hansen, who came to Guadalajara to give clinics and offer competition experiences outside of Mexico. In 2004, Gonzalez was invited to spend the summer in Europe as a part of the Mexican Nations Cup team. This led to an opportunity to be chef d’equipe for the Mexican team at the Olympics in Athens. He continued in this role for several championships all over the world. The younger ‘E,’ Eduardo Menezes, grew up with exposure to horses through the family’s cattle ranch in Brazil. After one jumping lesson he was hooked, and by age 14 told his parents he wanted to be an international rider. In 1999, at age 19, they ‘set him free’ to try riding full time, and off he went to Belgium. Six months later, he turned professional and after four years in Europe, he was asked to ride and train in Monterrey, Mexico. Among his successes in the show ring, being a strong team member is one. 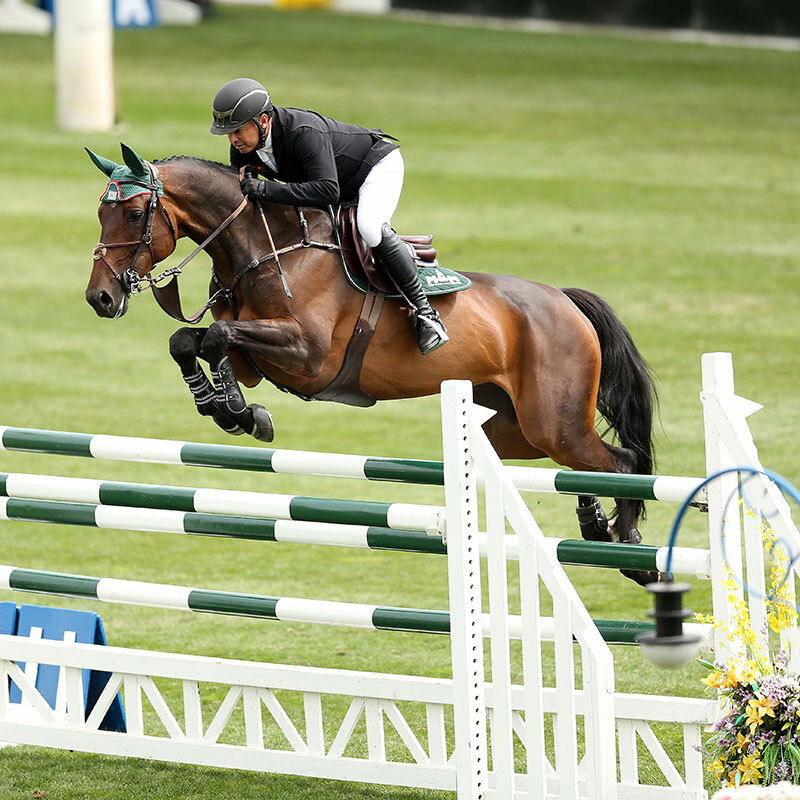 In 2013 Menezes was on the Brazilian team that won the Nations Cup in Arezzo, Italy and in 2015, he helped his team win the Nations Cup at the Spruce Meadows Masters in Calgary, Canada. He also finished in the top ten of the 2015 Pan American Games. In 2016, the Brazilian team finished a respectable fifth in the Summer Olympics in Rio de Janeiro, Brazil. 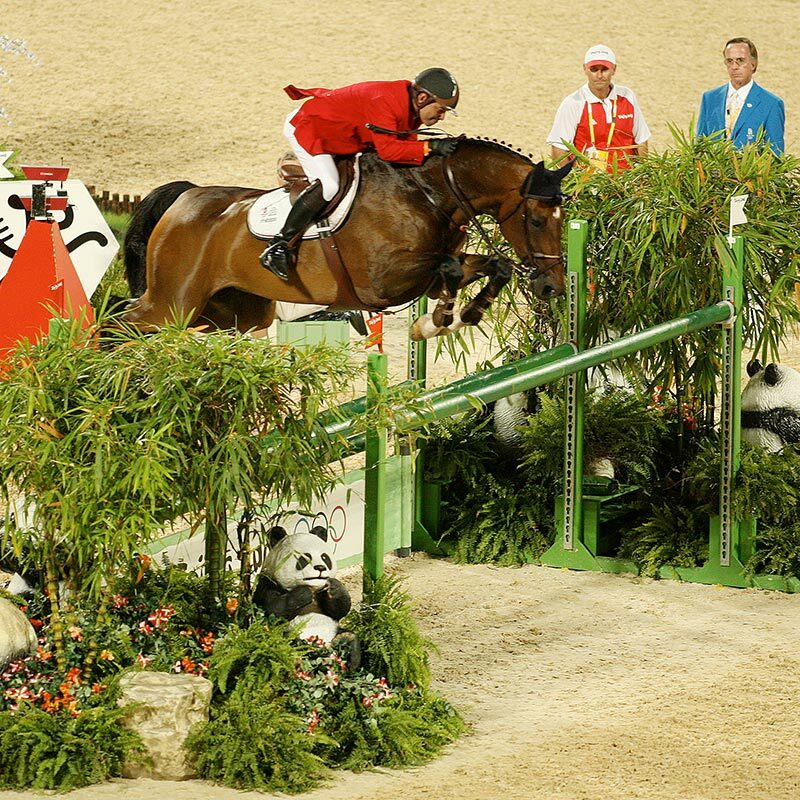 Menezes has traveled the world, placing consistently in numerous classes on horses he has brought along, including his Olympic mount Quintol. After seven successful years south of the border, some clients wanted to spend a year competing in the United States. In 2010, Menezes came to California and Gonzalez stayed in Mexico. They kept their partnership and managed two locations, meanwhile growing their sale horse business in the states. One year turned into two, and in the third year, the winter of 2013, Gonzalez came to compete at the HITS Desert Circuit, and Menezes ‘put the bug in his ear’ to stay. Beginning this season, E2 is based in Wellington for the winter, with international goals that include the Longines Global Champions Tour, which offers events in 15 extraordinary cities around the world. They will also keep their facility in San Diego, CA. 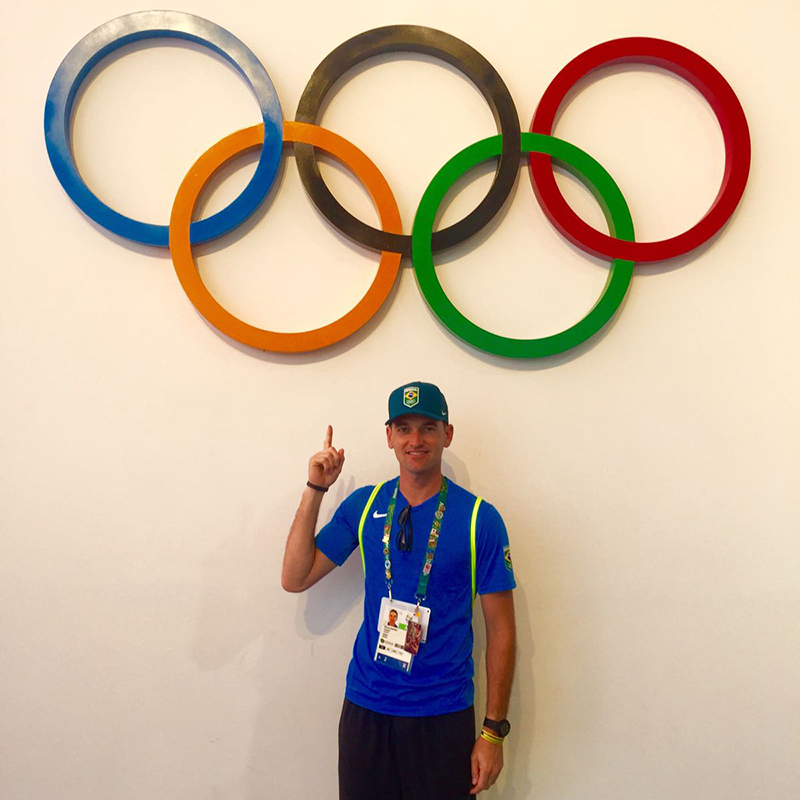 Although Gonzalez had ridden Olympic tracks in 2008, Eduardo realized his dream of competing in the Olympics last year in his home country of Brazil. 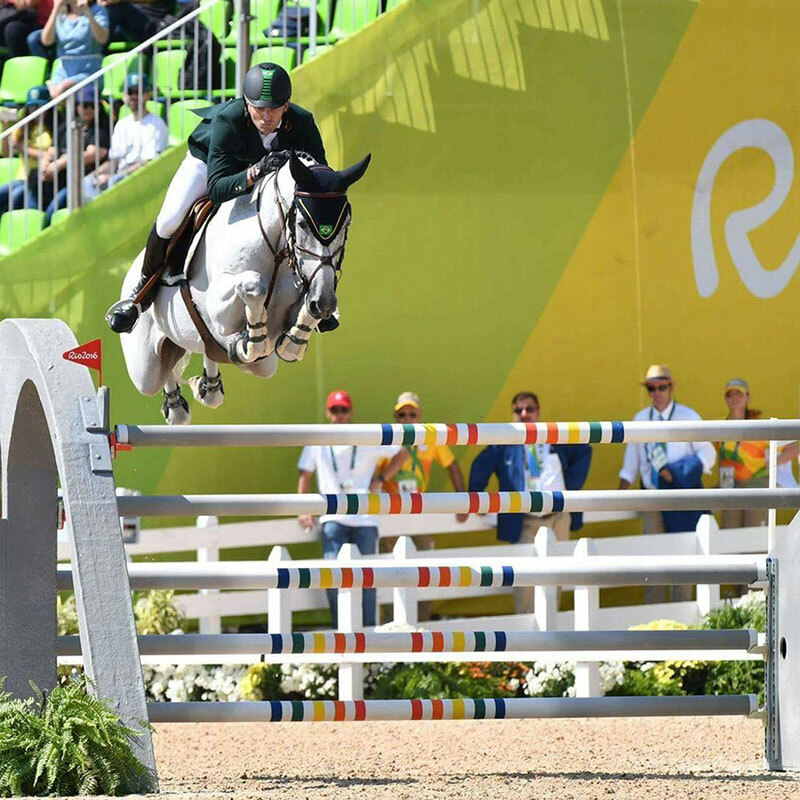 To compete at this level in show jumping requires a skilled, knowledgeable and experienced rider on an equally talented, brave and powerful equine partner. These horses are not easy to find, especially as young prospects, but Gonzalez and Menezes have not only spotted potential in a long list of horses for clients and themselves, they’ve developed and trained their current mounts. Menezes and Quintol continue to compete internationally, with the Longines Global Champions Tour in sight for this year, and Tokyo in 2020. His other up-and-coming mount is Catalina. 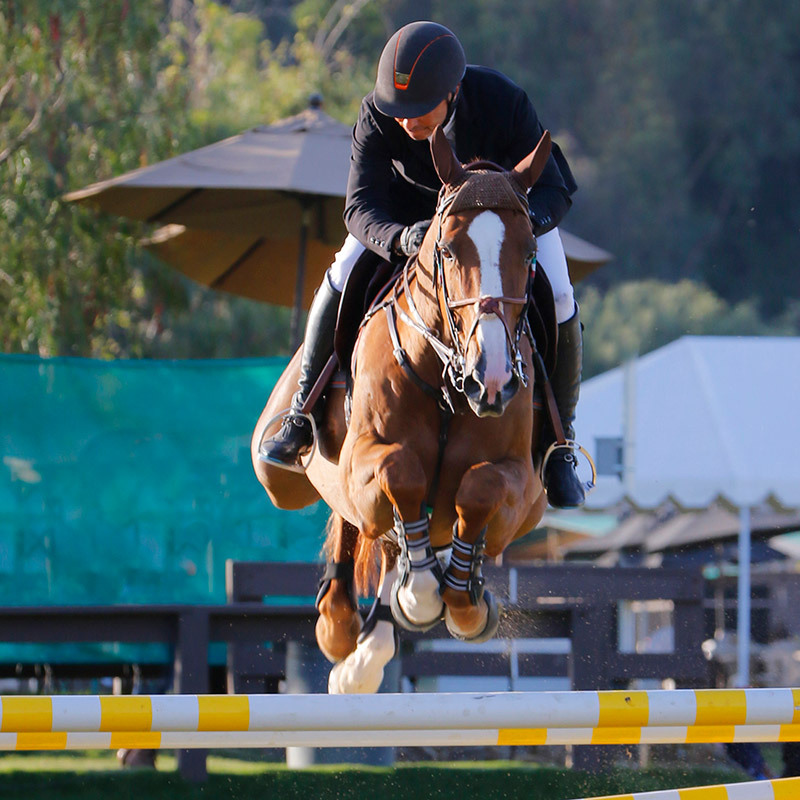 Just starting to make a name for herself, the bay mare has stepped up to the 1.60m level and with Eduardo in the tack earned top ribbons in the Longines FEI World Cup Jumping events in Del Mar and Sacramento. 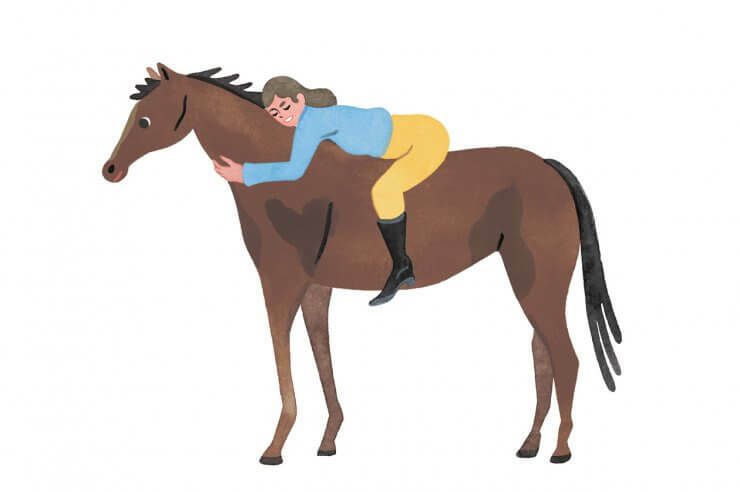 She is now his second top-level horse. Gonzalez is also joining the international ranks again, with an unexpected partner, his mare Chacna. When his top horse Quilebo was injured in 2015, Gonzalez decided to take over ownership of the talented yet opinionated mare. Menezes actually found Chacna for a client at the stable of their European business partner, Paul Schockemohle. At that time, Chacna was turning seven. She adapted to the E2 program and the amateur, a doctor from Brazil who flies in to compete, owned her for the next year and a half. When they returned from Spruce Meadows in 2015, Gonzalez took over the reins, not certain what she was capable of. Gonzalez decided to buy her from the amateur in October of 2015. 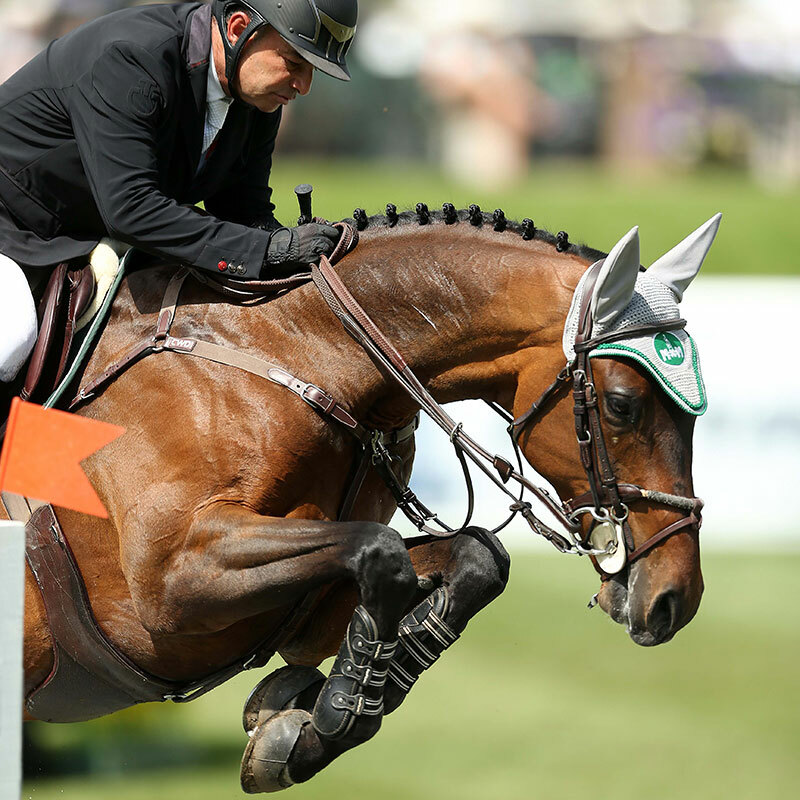 Eighteen months later, the pair have made serious strides, including winning several FEI classes from Del Mar to Wellington. Although he knew Chacna had talent, it was not an easy road. “She was very diffcult, always fighting you. Every time you rode her you knew it would be an hour of fighting,” Gonzalez said. “When you get to know a horse like this, you know which buttons to push to get them to relax,” Gonzalez noted. Now with Chacna in top form, and in agreement with the program, meaning she likes to jump clean and seems to love the pressure of the big ring, Gonzalez not only has a rising number one horse but Quilebo is also back in the ring. Taking it slowly, he started in smaller classes this season in Wellington. From an ‘accidental’ partnership to Olympic competition, Gonzalez and Menezes have found the ideal balance. Continuing the E2 excellence globally, both men have their eyes on the plan, albeit fluid, for their horses, clients, families and each other.